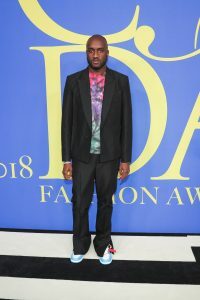 On June 4, 2018, the Council of Fashion Designers of America (CFDA) paid tribute to the winners and honorees of the 2018 CFDA Fashion Awards in Partnership with Swarovski at the Brooklyn Museum in New York. Issa Rae, the star of HBO’s hit show “Insecure,” was the host for the evening. 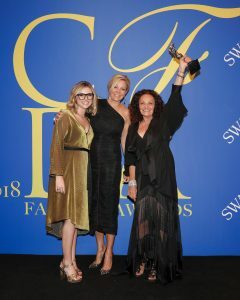 The Awards took place in partnership with Swarovski for the seventeenth consecutive year. The evening’s Womenswear Designer of the Year honor went to Raf Simons for Calvin Klein, presented by Cate Blanchett. Supreme took home the Menswear Designer of the Year award, presented by Trevor Noah. 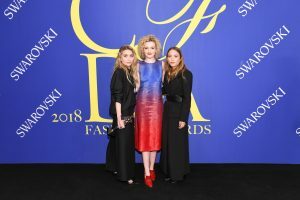 Mary-Kate Olsen and Ashley Olsen were named Accessory Designer of the Year, presented to them by Julia Garner. Karlie Kloss presented the Swarovski Award for Emerging Talent to Sander Lak for Sies Marjan. The designer will receive generous financial support from the company as well as exposure to the company’s vast and innovative crystal products and applications for fashion. Busy Philipps presented Kim Kardashian West with the CFDA’s first Influencer Award. 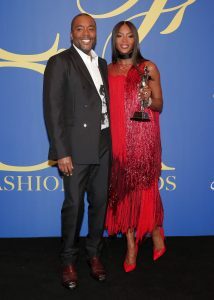 Naomi Campbell was named Fashion Icon, presented by Lee Daniels. 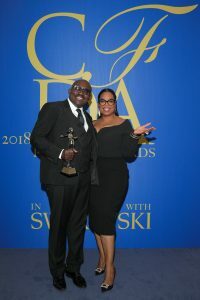 Oprah Winfrey presented Edward Enninful with the Media Award. Donatella Versace was recognized with this year’s International Award, presented by Lupita Nyong’o. The Founder’s Award in honor of Eleanor Lambert was presented to Carolina Herrera by Caroline Kennedy. The Swarovski Award for Positive Change was presented to Diane von Furstenberg by Parkland student Delaney Tarr. 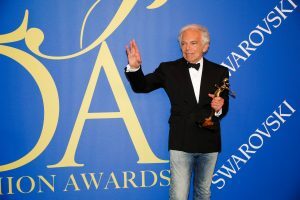 In one of the highlights of the evening, Ralph Lauren received A CFDA Members Salute by designers Vera Wang, Tommy Hilfiger, Michael Kors, Alexander Wang, Thom Browne, Jeffrey Banks, John Varvatos, Donna Karan, Marcus Wainwright, Jason Wu, and Diane von Furstenberg. 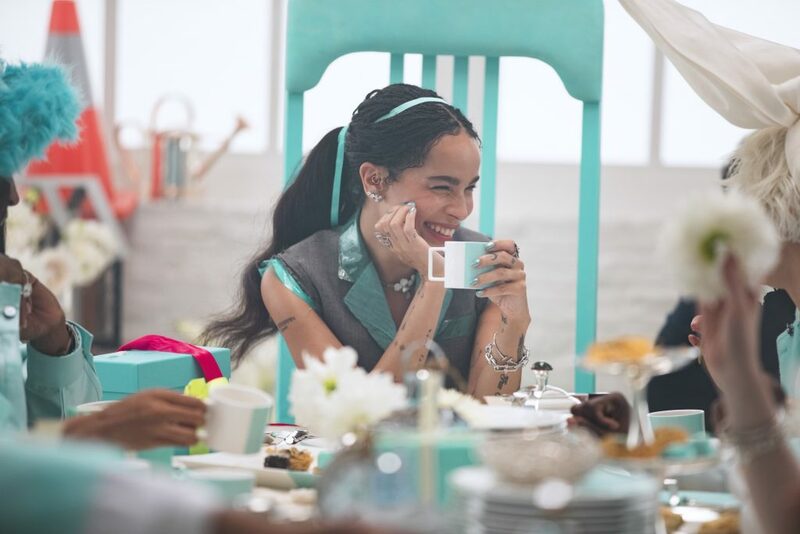 Tory Burch, Carolina Herrera, Marc Jacobs, Norma Kamali, Calvin Klein, and Reed Krakoff participated in the salute via a soundscape. 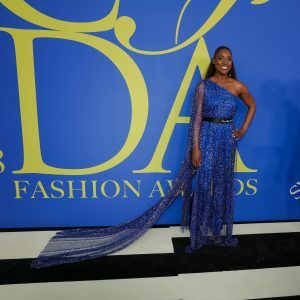 The 2018 CFDA Fashion Awards red carpet and ceremony were broadcast on Facebook Live at facebook.com/cfda. 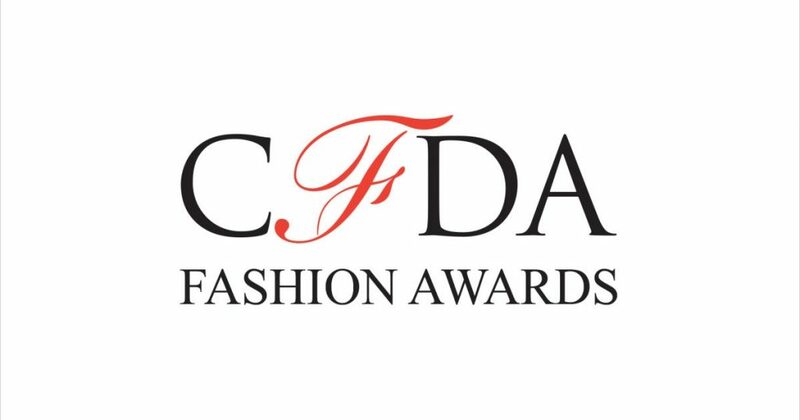 Additional highlights will be featured on www.cfda.com and CFDA’s YouTube channel on Tuesday, June 5th. CELEBRITY GUESTS: Sarah Paulson, Brooke Shields, Diane Lane, Liya Kebede, Julianna Margulies, Jessica and Jerry Seinfeld, Katherine Langford, Lili Reinhart, Cole Sprouse, Amber Heard, Gigi Hadid, Anwar Hadid, Kendall Jenner, Rosario Dawson, Whoopi Goldberg, Kaia Gerber, Lewis Hamilton, Rosie Huntington-Whiteley, Laura Harrier, Julia Garner, Olivia Culpo, Jourdan Dunn, Ashley Graham, Victor Cruz, Jasmine Sanders, Irina Shayk, Erika Jayne, Lily Aldridge, Emily Ratajkowski, Shanina Shaik, Chanel Iman, Lais Ribeiro, Elsa Hosk, Josephine Skriver, Martha Hunt, Stella Maxwell, Sara Sampaio, Winnie Harlow, Grace Elizabeth, Hari Nef, Nate Berkus and Jeremiah Brent, Paul Wesley, Marley Shelton, Alessandra Ambrosio, Tracee Ellis Ross. DESIGNERS: Alexander Wang, Tommy Hilfiger, Michael Kors, Fernando Garcia and Laura Kim, Donna Karan, Vera Wang, Erik Torstensson, Brett Heyman, Eva Zuckerman, Rachel Zoe, Rafe Totengco, Tanya Taylor, Kobi Halperin, Carly Cushnie, Nicole Miller, Danielle and Jodie Snyder, Zac Posen, Alexandre Birman, Rebecca Minkoff, Stacey Bendet Eisner, Sarah Flint, Tabitha Simmons, Sachin and Babi Ahluwalia, Christian Siriano, Joseph Altuzarra, Reed Krakoff, Prabal Gurung, Telfar Clemens, Phillip Lim. 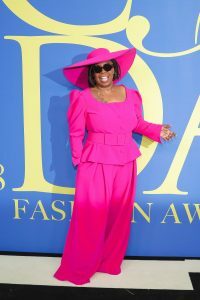 The CFDA Remembers segment honored the passing of Amsale Aberra, Azzedine Alaïa, Pierre Bergé, Benjamin Cho, Hubert de Givenchy, Lance Karesh, Judith Leiber, Bernadine Morris, and Virginia Thoren. As part of the CFDA’s commitment to design education, CFDA member Phillip Lim acknowledged the following scholarships and post-graduate opportunities and their recipients.